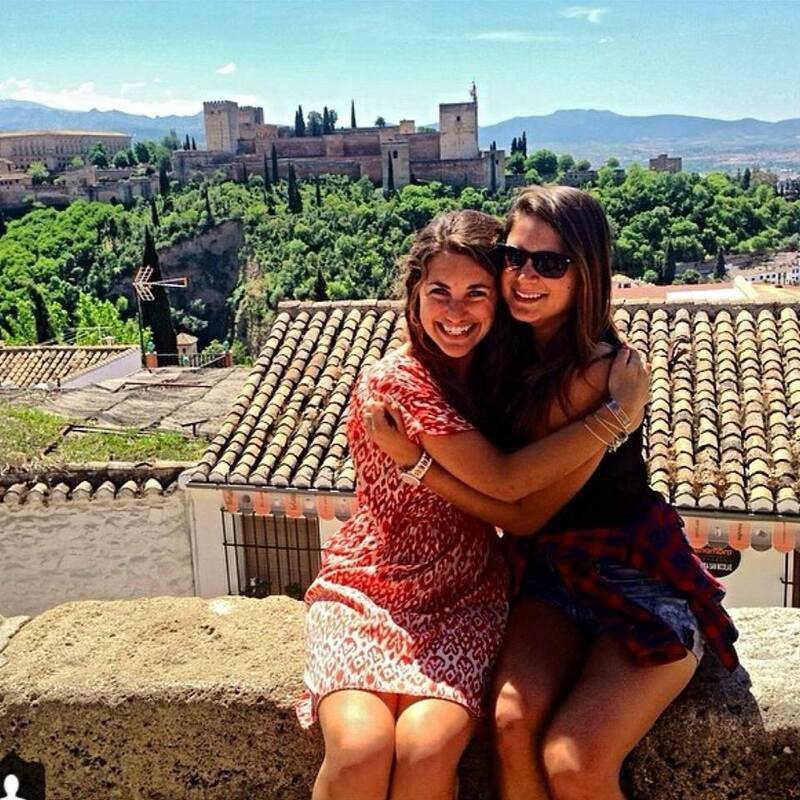 This is a photo of my roommate, Emily, and I at the Mirador de San Nicolás in the Albayzín (a neighborhood in Granada). It was taken on The Day of the Cross (click this link for more info: http://www.pbase.com/dav4184/day_of_the_cross). Behind us is the Alhambra- the Moorish palace that I have written about many times in my blog. This day was 80ºF, the coolest day of the week, so naturally the climb up to the mirador was quite warm. However, it´s always worth the view!